Another wallpaper i did lol XD. 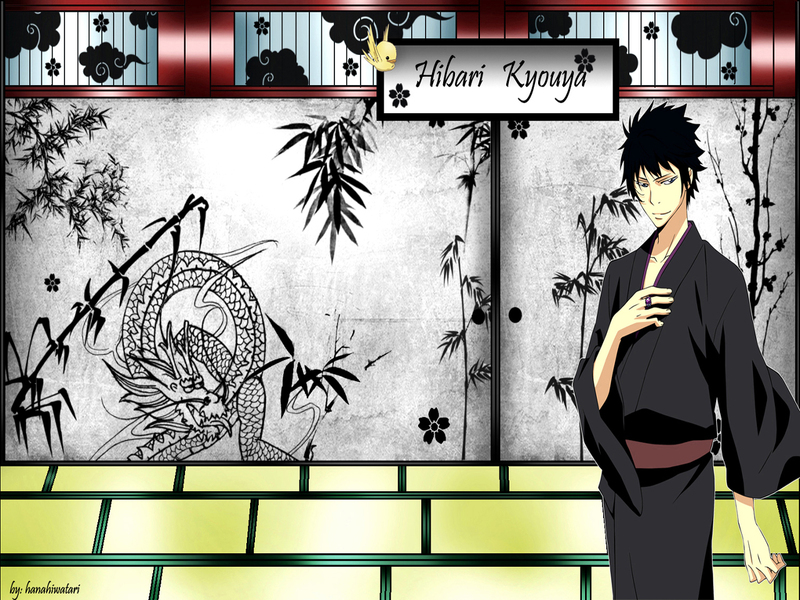 This time is Hibari-chan hehe, in his tradicional japanese place lol . Vector by: Asariel Black---- "http://asariel-black.deviantart.com/"
Love the background. Suits Hibari. Um, sorry to bother you but I have to ask you this. Where did you got that Hibari vector? Because it looks like one I did and if that's the case, I don't see the credits ._. I can say that's mine because it has the white stroke I put in all my vectors and a mistake I made in one of the hands. I like this scan you used a lot. Wallpaper looks great and I think the traditional style suits him as much as a suit. :) Thanks so much for sharing and keep up the great work! wow.. that's really beautiful BG..